Dr. Sharpless also highlighted the need to address cancer research challenges such as poor accrual rates, eligibility criteria, and cancer heterogeneity. This new investment of funds will be a pivotal beginning to improving reimbursement rates and expanding clinical trial access to more patients. ASCO welcomes the U.S. Food and Drug Administration's (FDA) announcement that it is advancing new policies to make the drug review and approval process more modern, more scientifically rigorous, and more efficient. Two in particular were the SANDPIPER trial for advanced breast cancer and IMpower131 trial for advanced lung cancer. Also, Silicon Valley startup GRAIL, Inc., showcased its cancer detection prototype by presenting data from their lung cancer substudy. This media coverage comes with several notes of caution though. Most of the results being shared at the conference are a preliminary look at ongoing clinical trials, and in some cases those trials are at an early stage. The researchers are also tasked with delivering these updates in incredibly short talks. Findings further support durability and safety of TFR with Tasigna; nearly all patients who lost TFR regained major molecular response after restarting therapy. Trial meets the primary endpoint of durable complete response. Forty Seven has preliminary data on 22 patients taking 5F9, with an impressive initial snapshot of early data for the small group. Fifteen of the patients suffer from treatment resistant diffuse large B-cell lymphoma (DLBCL) and the other 7 have follicular lymphoma. The analysis of two similar populations diagnosed in 2010 found that initial regimens of chemotherapy drugs with or without Avastin, sold by Roche, cost a monthly average of $12,345 in Washington state and $6,195 in British Columbia. This is the first randomized study to show that geriatric assessment improves doctor-patient communication, according to the authors. Updated Data from Phase 1 EV-101 Study Highlighted in ASCO 2018 Oral Presentation Support Rapid Development Program and Ongoing Pivotal Study. Treatment with investigational compound erdafitinib demonstrated durable responses in patients with metastatic urothelial cancer with genetic alterations. The early data from Grail’s Circulating Cancer Genome Atlas study suggest that the problem of such “false positives” is tractable. The CCGA study has enrolled more than 12,000 of the planned 15,000 participants (70% with cancer, 30% without cancer), across 141 sites in the United States and Canada. Grail is actually presenting data on three different tests: sequencing fragments of DNA in the blood for particular genetic markers, sequencing all of the DNA, known as a whole genome, and looking for methylation, an epigenetic marker. The whole genome and methylation tests are providing the best results. The biotech unicorn Grail just gave its first look at how its sequencing-based cancer test prototypes are performing. The research studied the ability of three different prototype sequencing tests to detect cancer in blood samples from people with early to advanced lung cancers. Study links several new cancers to Lynch syndrome. Of the 1,307 patients with at least one genetic change in the cancer, the 3-year overall survival rate was 15% in the matched targeted group compared to 7% in the non-matched group. “Our findings suggest that all patients with MSI-H tumors should be tested for Lynch syndrome, regardless of cancer type or personal history,” said study author Dr. Zsofia Kinga Stadler. The LOXO-292 results mirror almost perfectly the 76 percent response rate delivered by larotrectinib in TRK fusion tumors at last year’s ASCO meeting. To be clear, these results are early, from a study designed to find the best dose to use in further tests. And they come from a very small number of patients. It’s also unclear how long these responses will last; the longest response, which came from the first patient dosed, has lasted 10 months so far. The new drug is the latest success story in the area of targeted cancer therapy that can help patients with very specific mutations, and the second such drug for LOXO-292's maker, Loxo Oncology, which is asking the Food and Drug Administration to approve a medicine it developed against a different gene. In their first definitive snapshot on the interim data, investigators at Loxo unveiled a 77% overall response rate for RET fusion-positive cases, handily beating the ASCO preview figure of 69% as promised. In RET-mutant medullary thyroid cancer the rate dropped to 45%. Unlike most of the more closely-watched programs here at ASCO, the researchers involved never offered a preview of the data that came out Saturday evening. And that was a serious misstep. Loxo’s discoveries have highlighted the value of more widespread genomic testing of tumors to find the best treatment. Both the TRK and RET mutations are rare but occur in different types of cancer. The trial used a molecular test (Oncotype DX Breast Recurrence Score) that assesses the expression of 21 genes associated with breast cancer recurrence to assign women with early-stage, HR-positive, HER2-negative, axillary lymph node­–negative breast cancer to the most appropriate and effective post-operative treatment. Professor Arnie Purushotham, senior clinical advisor at Cancer Research UK, said that by grouping patients based on how likely their cancer is to return, the trial shows great potential to ensure treatment is kinder without compromising its effectiveness. “Before TAILORx, there was uncertainty about the best treatment for women with a mid-range score of 11-25 on the Oncotype DX Breast Recurrence Score test. The trial was designed to address this question, and provides a very definitive answer,” said Dr. Sparano. The genomic test for this type of breast cancer, called Oncotype DX, measures the expression of 21 genes in tumor tissue removed at the time of surgery and predicts risk of recurrence on a scale of 0 to 100. As a former practicing oncologist and survivor of early-stage breast cancer, I think the TAILORx findings are among the most important reported since I entered the field. The authors said it was the largest precision medicine trial ever done. The study found that gene tests on tumor samples were able to identify women who could safely skip chemotherapy and take only a drug that blocks the hormone estrogen or stops the body from making it. “We weren’t looking for gender differences, so the results were really surprising." 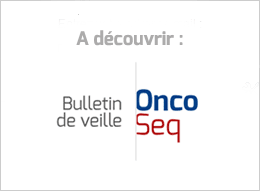 “Our study is the first to question the need for surgery in the era of targeted therapies and clearly shows that surgery for certain people with kidney cancer should no longer be the standard of care,” said lead researcher Dr Arnaud Mejean, a urologist at the Department of Urology, Hôpital Européen Georges-Pompidou - Paris Descartes University in Paris. The difference in median survival seems to suggest a greater benefit with sunitinib alone. However, this cannot be concluded, as this trial was not designed to prove that one treatment is superior to the other, noted Dr. Mejean. riskScore Provides Women Who Test Negative for Hereditary Breast Cancer Mutations Definitive Information about their 5-Year and Lifetime Risk of Breast Cancer. Kisqali plus fulvestrant demonstrated superior efficacy, with a median PFS of 20.5 months vs. 12.8 months for fulvestrant alone, among overall study population of first- and second-line postmenopausal patients with HR+/HER2- advanced breast cancer. The SANDPIPER trial is the first and largest phase III clinical trial of taselisib, according to the authors. The trial enrolled 516 postmenopausal women with locally advanced or metastatic ER-positive, HER2-negative metastatic breast cancer that worsened or recurred despite initial hormone treatment with aromatase inhibitors. Jose Baselga handled the ASCO presentation, outlining the slight edge on PFS against a slate of grade 3 or higher cases of diarrhea (12%), hyperglycemia (10%), colitis (3%), and stomatitis (2%). Black men were more likely to have a decline in prostate-serum antigen (PSA) -- a sign of prostate cancer response -- and had a 5-month longer median time to PSA worsening than white men (16.6 vs. 11.5 months). Researchers looked at patients between January 2015 to March 2017 at the Christie NHS Foundation Trust, and studied 303 patients with melanoma, non-small cell lung cancer and renal cancer. About one-third of all the patients received antibiotics either two weeks before or six weeks into their cancer therapy. The study is retrospective. Data from the Phase 1 dose-escalation and early data from the Phase 2 dose expansion phase of the ongoing PIVOT study highlighted as an oral presentation. In Phase 3 CheckMate -214 trial, treatment with Opdivo plus low-dose Yervoy led to statistically significant differences in patient-reported outcomes from baseline versus sunitinib through two years of follow-up. The strategy is controversial, however, because there’s only a small amount of tumor response data from an early-stage, single-arm clinical trial to support the NKTR-214-Opdivo combination approach. An update of this trial on Saturday night at ASCO did little to settle the issue. In the current, small study, researchers presented data showing that the use of NKTR-214 can turn tumors that do not express the protein PD-L1, which means they're less likely to be affected by Opdivo, into tumors that do express PD-L1. Adding Roche’s high-profile immunotherapy Tecentriq to other standard cancer drugs extended by only about three weeks the median time patients with advanced squamous cell lung cancer lived before their disease progressed in one late stage study. For kidney cancer, the addition of more trial patients lowered the response rate to 46 percent from 64 percent. Diab said he expected the response rates to improve over time. But the presentation did not include an update on lung cancer patients treated so far. While only 5% of men in the trial saw their tumours shrink or disappear after treatment, many of those had mutations in genes involved in repairing DNA in their tumours. The researchers suggest these mutating cancer cells may be easy for the immune system to recognise and attack because they look different from healthy cells. The IMpower131 trial enrolled 1,021 patients with stage IV squamous NSCLC. Tumors were tested for PD-L1 expression, but patients were included in the trial regardless of tumor PD-L1 expression level. Researchers randomly assigned 1,274 people with locally advanced or metastatic NSCLC to receive chemotherapy (paclitaxel plus carboplatin or pemetrexed plus carboplatin) or pembrolizumab. Both squamous and non-squamous cancers were included, but not cancers with genetic changes that can be treated with targeted therapies (EGFR and ALK inhibitors). The financial implications of what happens in lung cancer are huge. Analysts at J.P. Morgan currently estimate that lung cancer sales will account for nearly $8 billion of forecast Keytruda sales of $12 billion in 2022. Median PFS was 6.3 months for the Roche checkpoint vs. 5.6 months for the control — not the kind of gap that is likely to stir excitement. That likely creates big trouble for Roche. Median PFS of approximately one year achieved in heavily pre-treated patients in the active doses of the dose escalation cohort. Enrollment in a pivotal phase 2 trial, KarMMa, is already underway, which will be used to support the expected 2019 filing in later lines of treatment. Is delaying cancer progression by just under one year good enough? It’s a vital question, because eight competing BCMA-targeted CAR-Ts are also in clinical development right now. The result is more impressive given that the patients were very sick. They had been failed by a median of 8 prior therapies, with some having taken as many as 23. To be sure, there continued to be plenty of evidence of toxicity, with a high rate of cytokine release syndrome — more than 80% in the higher dose ranges — to raise concerns. Patients in bluebird’s Phase I study had received on average seven prior treatments, including the newest multiple myeloma drugs, such as Johnson & Johnson’s Darzalex. They had also undergone at least one stem cell transplant before receiving bb2121, which is being developed with Celgene Corp.. The findings of this trial have already changed the standard of care in Europe, where investigators shared the results with soft tissue sarcoma study group institutions in 14 countries.